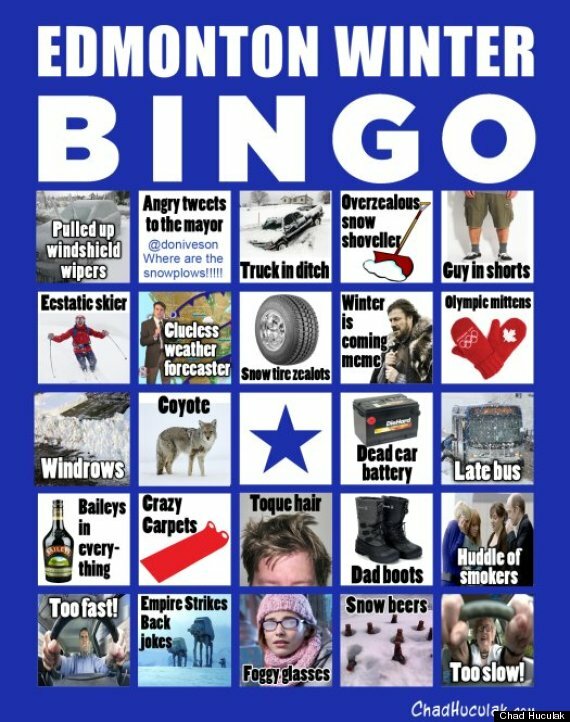 Edmonton Winter Bingo: Where all your weather complaints and depressing observations are turned into a fun game. Cartoonist Chad Huculak has come up with the clever bingo card to describe winter in Alberta's capital city and it couldn't be closer to the truth. "Guy in Shorts." "Windrows." "Clueless Weather Forecaster." All of it's the same stuff we see year, after year, after year...after year. And it's not just Edmonton – the card could apply in almost any Canadian city. Big thanks to Huculak for sharing his image with us. You can see more of his work on his blog.